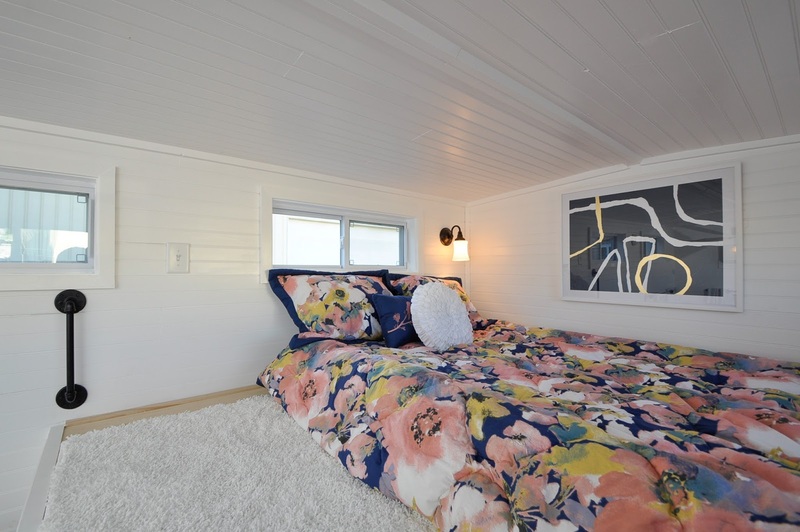 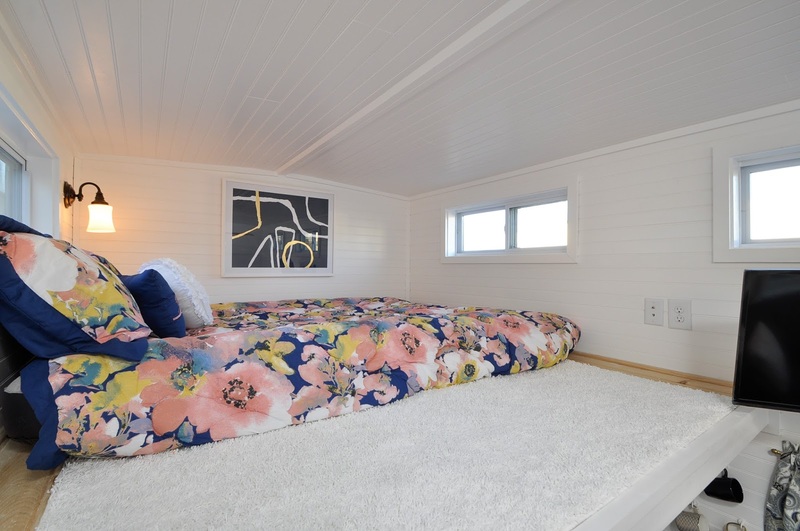 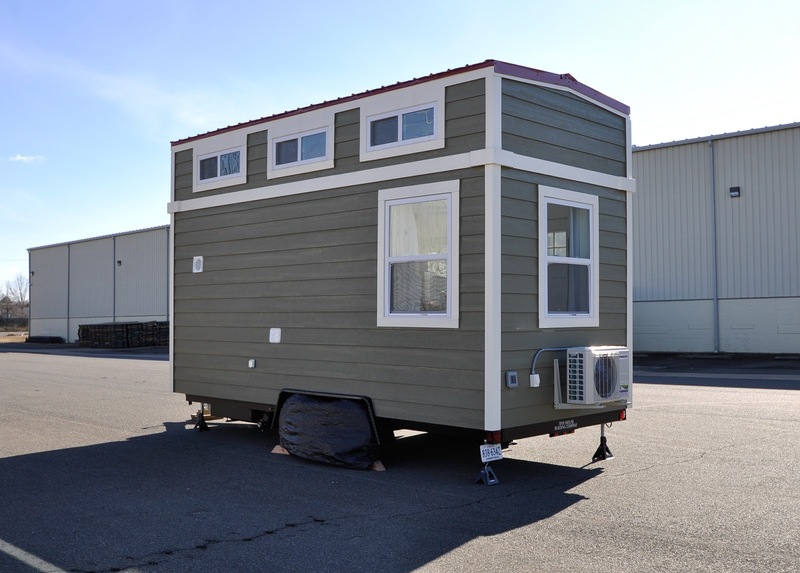 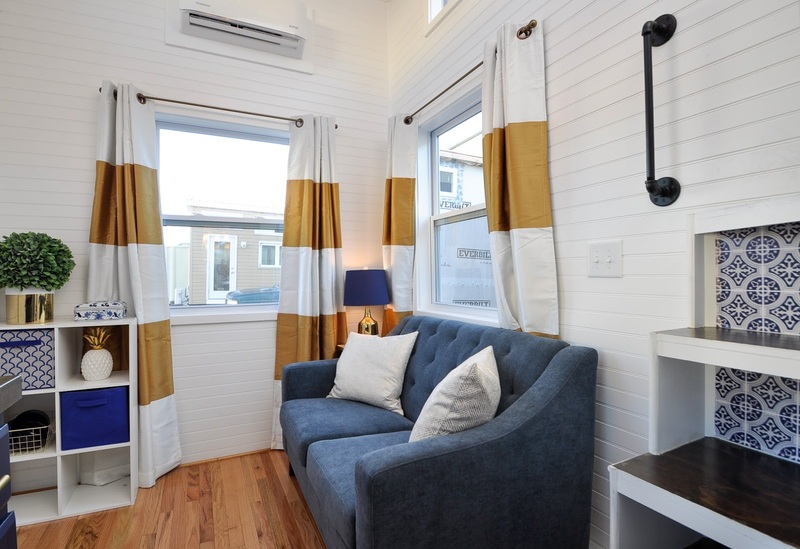 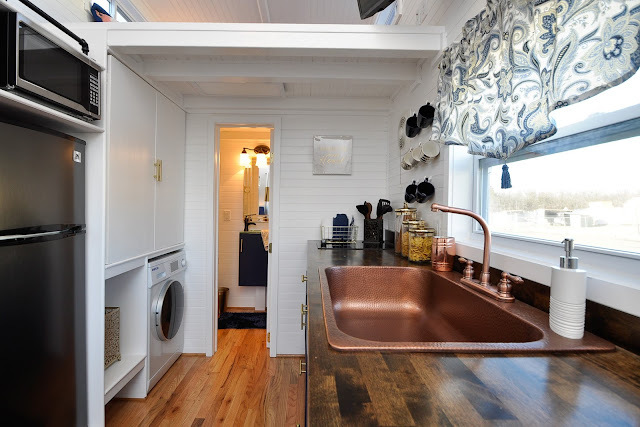 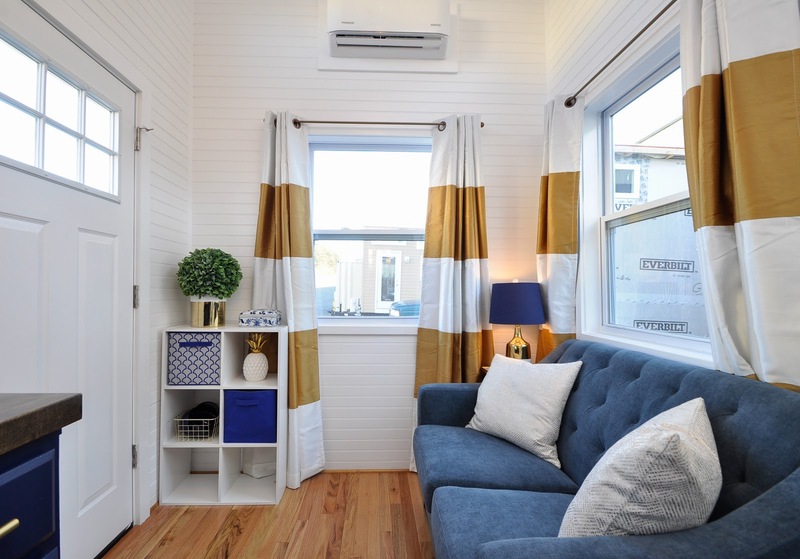 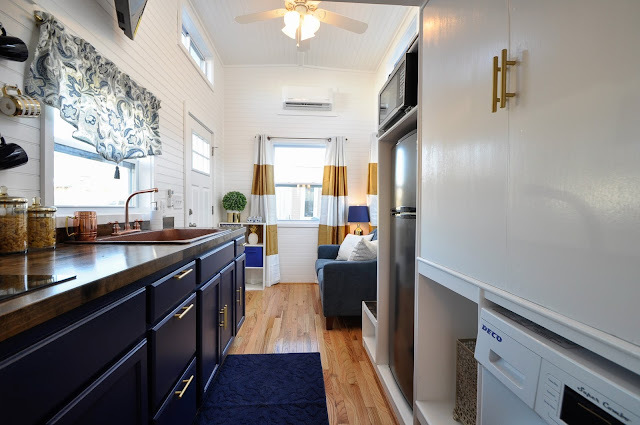 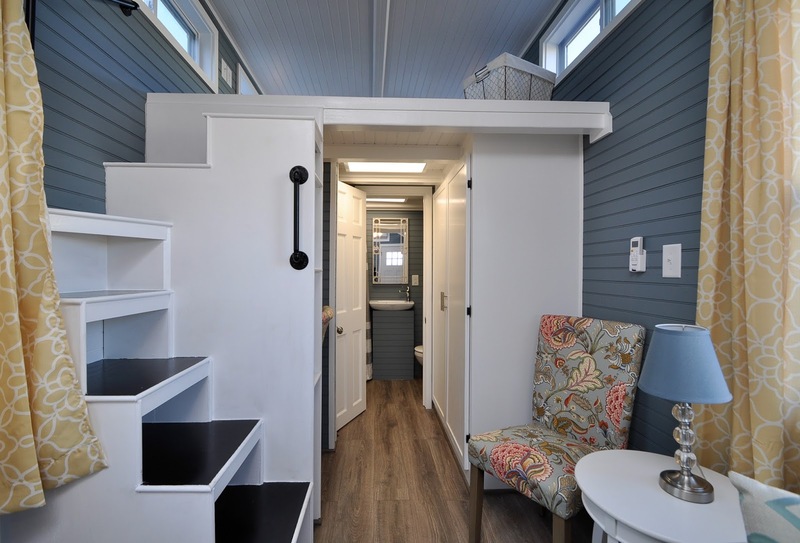 This charming 18-ft tiny house on wheels is currently availanble for sale from Tiny House Building Company. 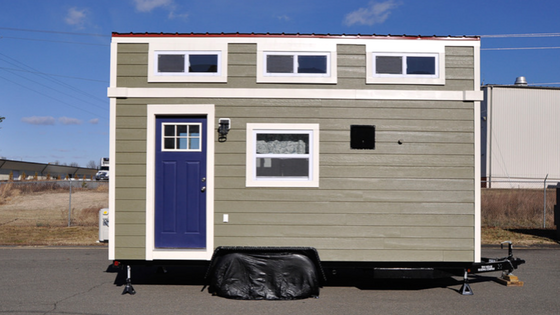 The 167-sq-ft home is nicknamed the "Olive" for its deep green wood siding exterior. 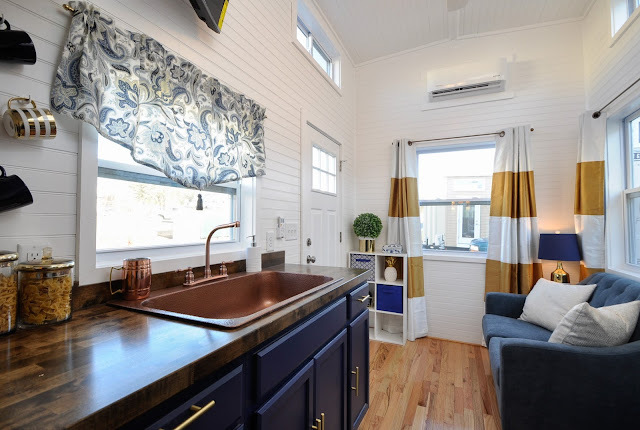 Inside the home is a living room with two large windows, a ceiling fan, and space for a couch.The kitchen features a beautiful hammered copper sink with a copper gourmet faucet, in addition to a refridgerator, a two-burner induction cooktop, stained butcherblock countertops, a microwave, a waasher/dryer unit, custom cabinets, and plenty of storage. 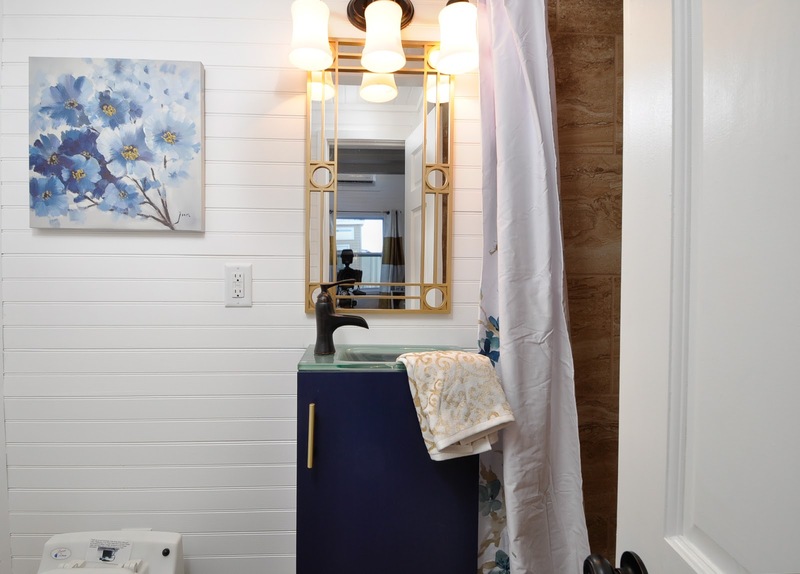 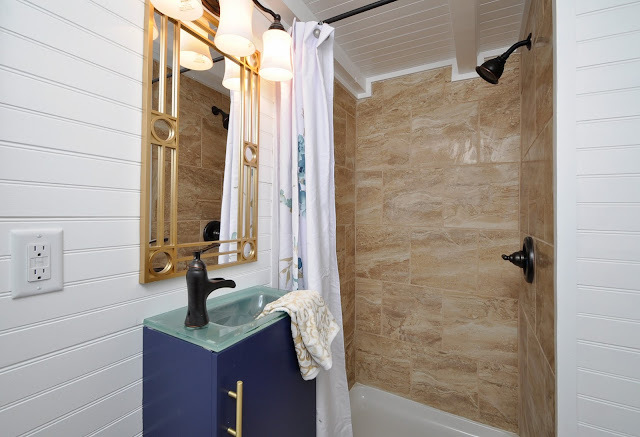 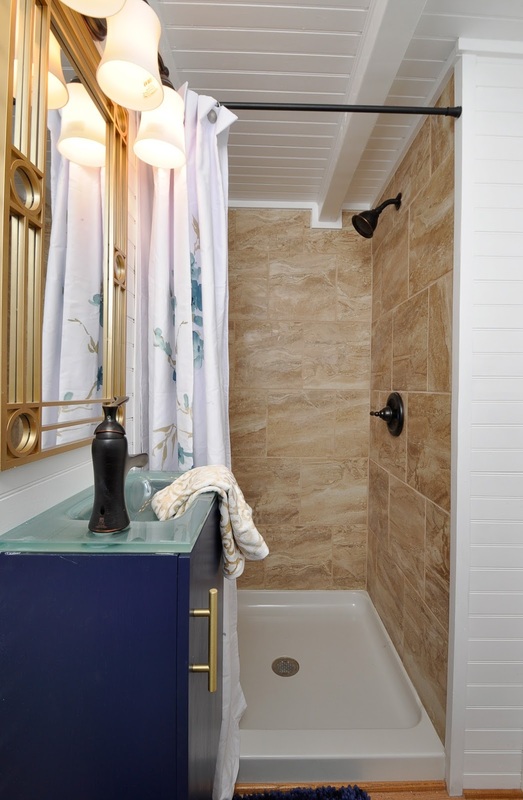 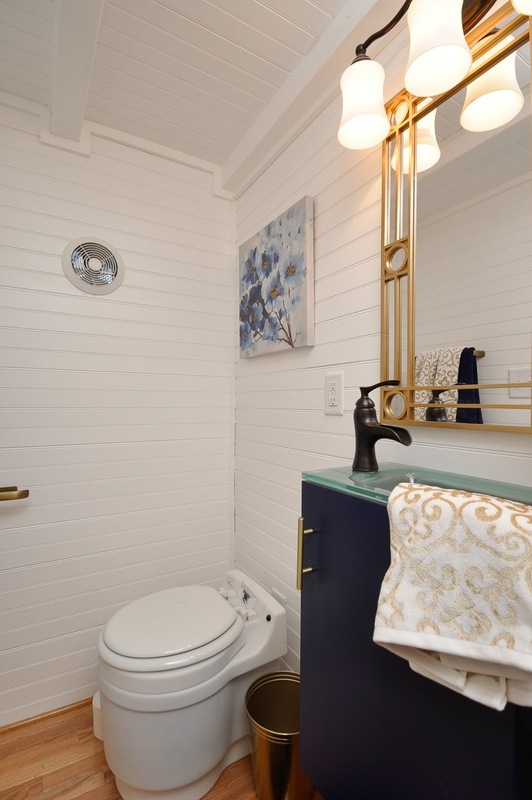 Past the kitchen is the home's bathroom which comes with a 34" x 36" tiled shower, a dry-flush toilet, and a custom sink and vanity. 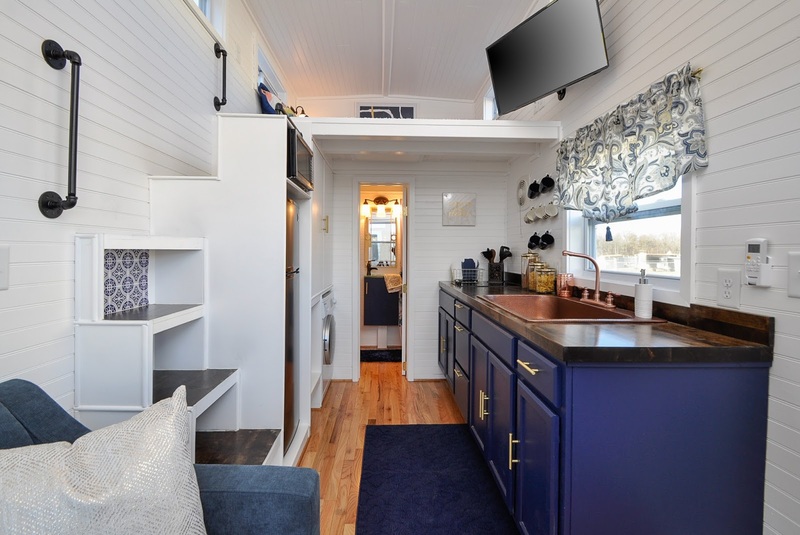 Also included in the Olive is a built-in staircase, a king-sized loft bedroom, an on-demand propane tankles water heater, and a Pioneer split unit for heating and cooling. 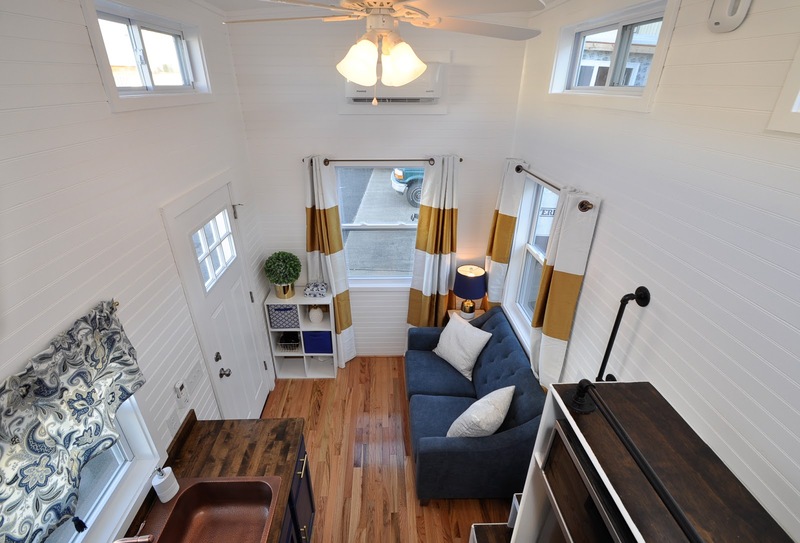 The home is currently available for sale in Frederickburg, Virgina, for $59,000.